This Collignoniceras woollgari juvenile ammonite fossil is on display at the Mesa Verde National Park as of August 2014. 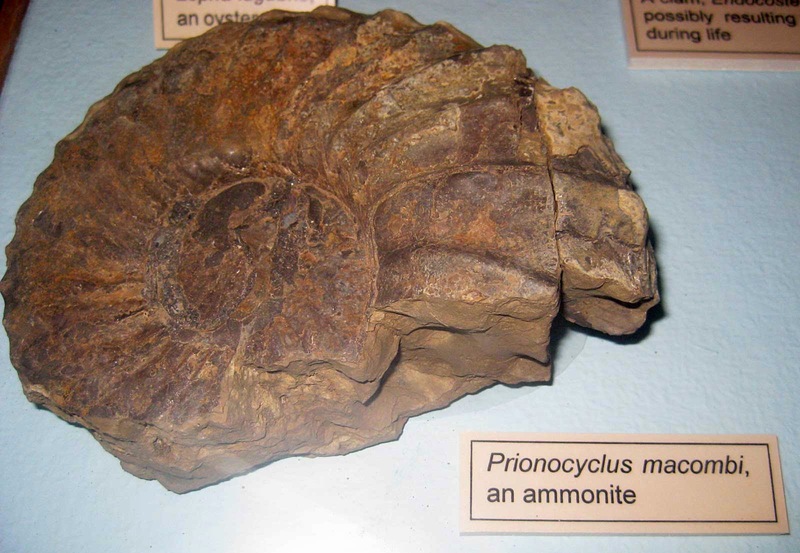 The ammonite existed in the Late Cretaceous Period (Campanian). A colleague of mine recently returned from a vacation to Montana.When he was showing me pictures from his trip I found the one shown in this post intriguing. 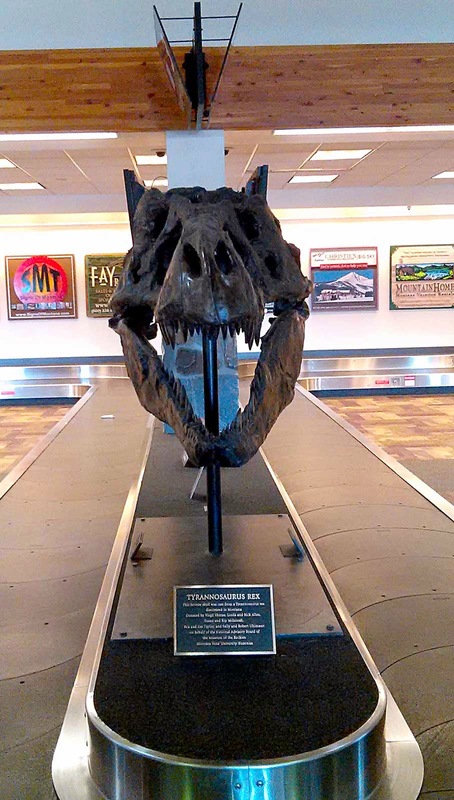 It turns out this Tyrannosaurus rex fossil replica is on display at the baggage display area of Bozeman Yellowstone International Airport of Belgrade, Montana. Montana is the source of many dinosaur fossils so it seems fitting they chose this replica to represent an aspect of Montana geological past. This dinosaur existed in the upper Cretaceous Period (68-66 million years ago; Maastrichtian). Learn more at Wikipedia. Thanks to Ryan for the picture. Find a T-rex replica on Amazon.com. 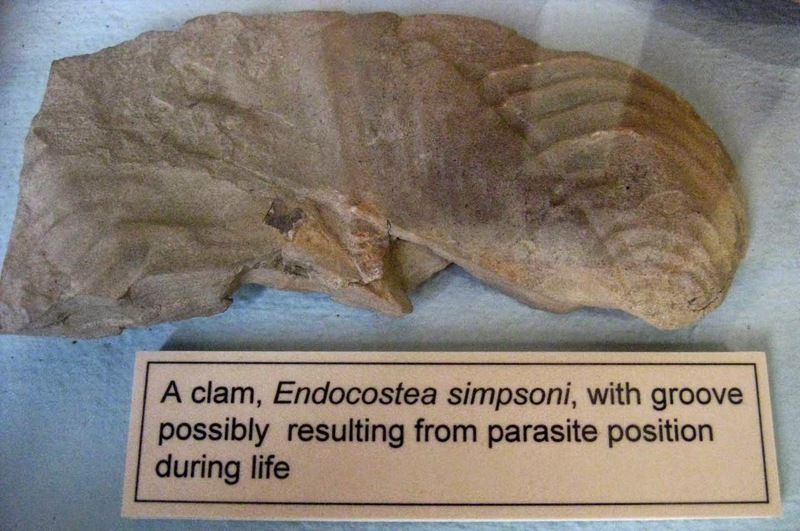 This Endocostea simpsoni inoceramid clam fossil is on display at the Mesa Verde National Park as of August 2014. The clam existed in the Late Cretaceous Period (Campanian).